With summer on its way, I am already planning my wardrobe for our holiday to Devon in June. I like to go away for my birthday, so we’ve booked a few days away in Salcombe for some time by the coast, great food, a few glasses of bubbles and some relaxation. We’re also heading to the National Trust property, Greenway; once a holiday home of Agatha Christie and also the location for the Poirot episode, “Dead Mans Folly” (I am a huge Poirot fan). For our time by the coast I’m hoping for some warm days. So I am working with Fat Face to build my capsule holiday wardrobe. 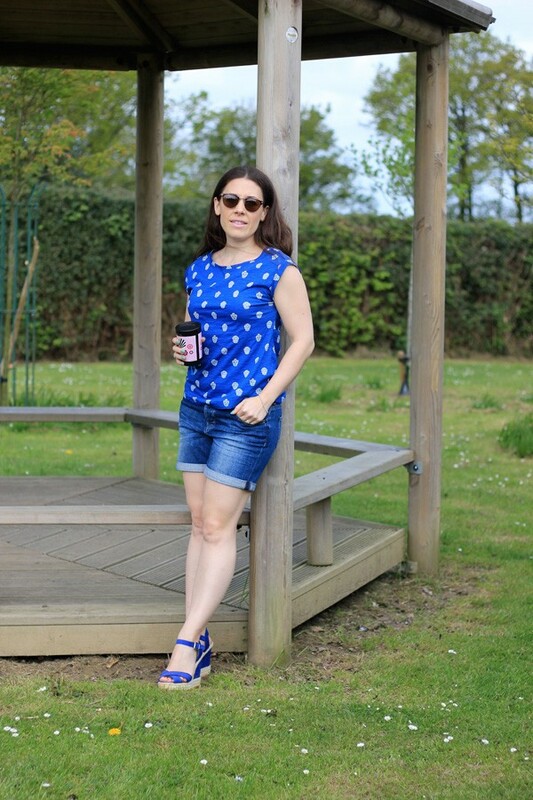 With only a few days away and not much need for a big suitcase; a capsule holiday wardrobe is just perfect for our early summer trip. A few key items that can be transitioned for different occasions during the trip. All I need is a few accessories and shoes to mix and match and pieces that can alternate my outfits over the few days I am away. I can alternate all of the above for both day and night. 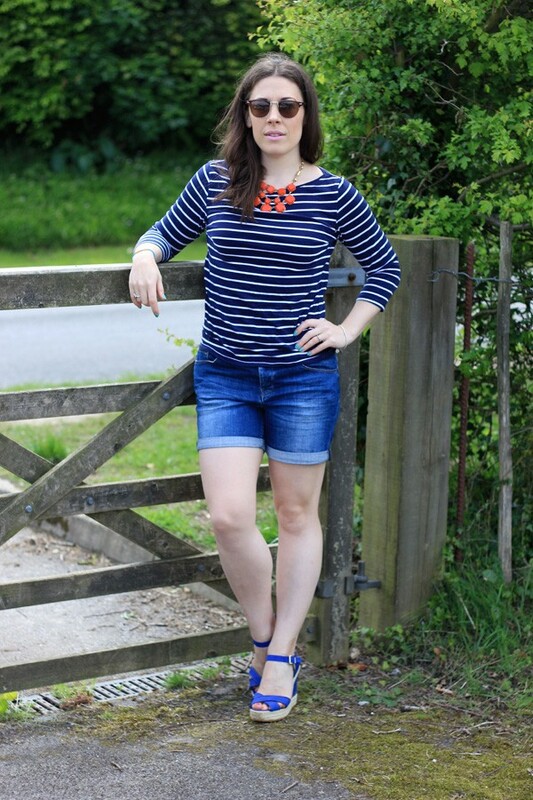 These denim shorts are from Fat Face and are so comfortable. I love that they have a button fly and they are not too short, a great length for day time without feeling like too much leg is on show. 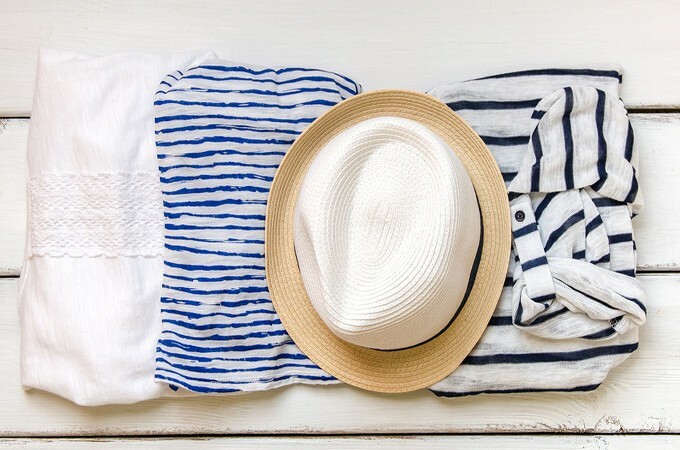 Great for coffee in the park or hitting the beach with a breton stripe. For night the maxi dress with wedges is a great look. A chunky necklace, clutch bag and cropped leather jacket is a stylish look for a sunset dinner. 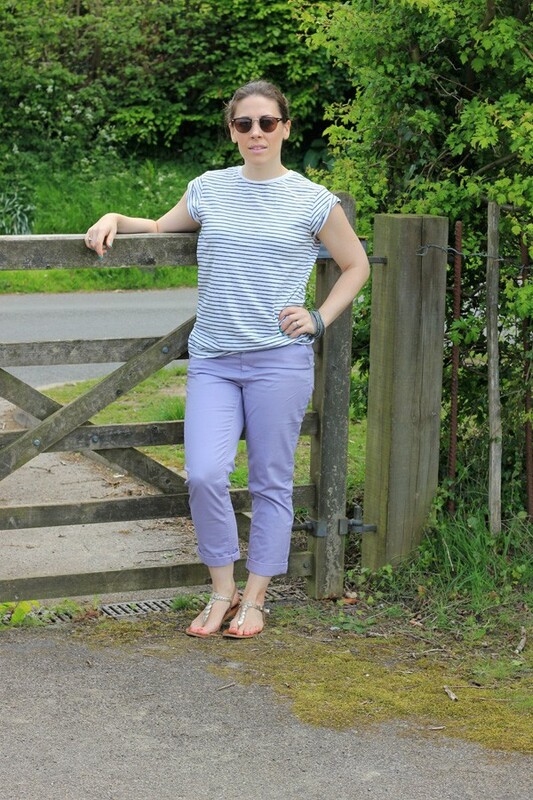 The pastel capri trousers are also a great night time wear but I have styled these Violet Modern Crop Chinos from Fat Face with a light tee for the day and wedges for a relaxed afternoon in the sun. Fat Face has launched their Holiday Shop, offering a gorgeous range of dresses, tops, trousers, skirts, swimwear and accessories perfect for trips abroad and within the UK. What are your holiday plans this summer? Which key piece is always in your capsule holiday wardrobe? Thanks Laurie! I love a capsule wardrobe!